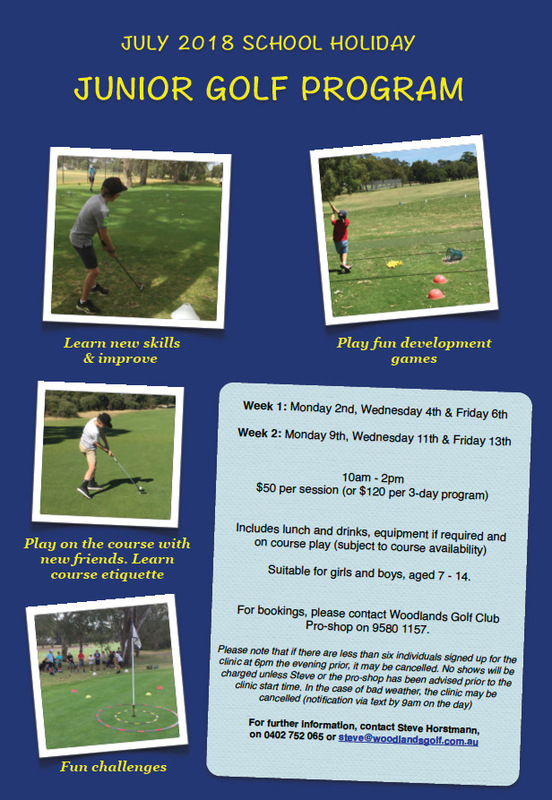 Woodlands junior development holiday program is the perfect way to introduce your child into golf and for the more experienced junior golfer it enables them to further develop their skills. If your child shows a interest in this great game the next step is the weekly term program to build on what they learnt during the holidays. Click HERE for a PDF of the July 2018 School Holiday Junior Golf Program flyer.